The role of the healthcare scientist sits at the forefront of the medical profession, making a vital difference to the diagnosis and treatment of medical conditions. This course is for aspiring cardiac physiologists looking to gain an expert understanding of the heart and how it functions to provide treatment to patients with known or suspected heart disease. Why study BSc Healthcare Science (Cardiac Physiology)* at Middlesex University? This course will provide you with the knowledge, skills and practical experience to work as a professional healthcare scientist. Cardiac physiologists carry out diagnostic, monitoring, analytical and interventional procedures for patients from new born babies to the elderly, with known or suspected heart disease. Procedures in cardiac science include: echocardiography - using ultrasound to image the heart to aid diagnosis; pacemaker implantation and follow up – taking measurements and programming pacemaker devices; and exercise stress testing - monitoring blood vessels supplying the heart; electrocardiograms (ECGs); and blood pressure measurement. Our specialist degree will equip you with the expertise and confidence to execute specialist cardiac science procedures. Developed in response to the Department of Health's Modernising Scientific Careers programme (aimed at training expert NHS Healthcare Scientists), this course will enable you to provide the highest standard of patient-centred care. Our course is based on the latest Department of Health curriculum and has been accredited by Health Education England. What will you study on the BSc Healthcare Science (Cardiac Physiology)? This degree is designed to develop the knowledge, skills, attitude and ethical values required to provide excellent patient-centred care, and to work safely and effectively in the National Health Service. You will learn to execute specialist procedures in cardiac science including: echocardiography (using ultrasound to image the heart to aid diagnosis), pacemaker implantation and follow up (measurements and programming pacemaker devices), and exercise stress testing (monitoring blood vessels supplying the heart). You will also learn to carryout electrocardiograms (ECGs) and blood pressure measurement. This module introduces you to the scientific basis of healthcare science and aims to provide you with a solid foundation upon which to build the knowledge and skills required to work as a Healthcare Science Practitioner. This module aims to provide you with a basic knowledge and understanding of the scientific basis related to healthcare science and with a solid foundation upon which to build the knowledge and skills required to work as a Healthcare Science Practitioner. This module is designed to provide you with an in-depth knowledge of the anatomy, physiology and pathophysiology related to cardiology, vascular, respiratory and sleep sciences. This module provides you with the basic theory and practice of cardiac, vascular, respiratory and sleep sciences. 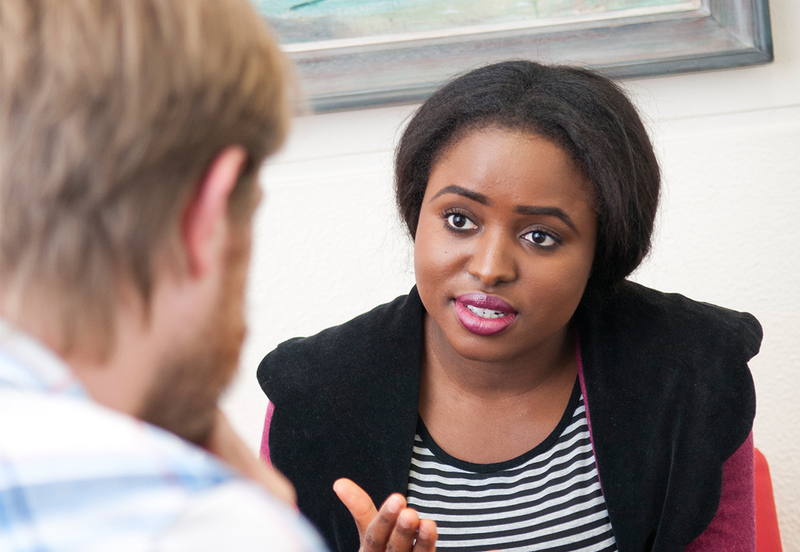 This module provides you with the insight into the organisation and roles of the health and social services in providing patient-centred care, understand what roles and responsibilities of a Healthcare Science Practitioner. In addition, it aims to help you develop your communication, study and teamworking skills. This module aims to provide you with an in-depth knowledge and understanding of disease processes and common diseases associated with the cardiovascular and respiratory systems. It will explore the epidemiology, public health and psychosocial aspects of each disease. This module will provide you with a firm grounding in interpretation of the abnormal ECG and its causative pathologies. Recording of the blood pressure through non-invasive measurement at rest and on the ambulant patient is discussed. The module also provides a detailed background for ambulatory monitoring of the ECG. This module aims to provide you with knowledge and understanding of principles and properties of measurement techniques used in carrying out physiological measurements. This module aims to provide you with knowledge and understanding of the importance of research, development and innovation in clinical practice. In addition, it provides the underpinning knowledge required to undertake a research project. A final aim is to prepare you for a career as a Healthcare Science Practitioner. This module aims to provide you with the knowledge and understanding of a pacing and cardiac catherisation in adults and children. In addition, you will gain a deep appreciation physiology, pathophysiology and pharmacology related to each investigative procedure or therapeutic intervention. This module aims to provide you with the knowledge and understanding of provocative electrocardiography. In addition, you will gain a deep appreciation of physiology, pathophysiology and pharmacology related to this investigative procedure. This module will build on earlier work to develop the themes of public health and epidemiology of cardiovascular disease, risk factors, risk assessment and primary prevention including behavioural change management. This module will build on the skills you have acquired when undertaking previous research modules and from the knowledge gained throughout the programme. Further development of analysis, critical thinking and scientific literary style will be promoted. You will be enabled to pursue areas of individual interest in the subject area appropriate to their target award and will have the opportunity of gaining increased theoretical and practical knowledge in a chosen specialist field. Individual research experience will be gained in an area that may provide future employment opportunities. Personal responsibility for own learning through self-directed study and supervised preparation will be fostered. It is an integral part of the degree programme, furthering the development of skills in critical analysis and reflection. This module provides you with the consolidate knowledge and technical skills gained earlier in the programme. In addition, the module provides you with an opportunity to undertake a full range of practice required to work effectively as a Healthcare Science Practitioner. How is the BSc Healthcare Science (Cardiac Physiology) taught? You will attend lectures, seminars, practical clinical sessions and laboratory classes, give presentations and take part in role plays, debates, group work and problem-solving exercises. You will supplement all this with your own reading. You will design and carry out your own research project, which could include a clinical audit, and develop a portfolio of work. All placement providers are officially approved by the University and the learning opportunities and support will be available to help you complete your Practitioner Training Programme (PTP) training manual. In the final year you also have an opportunity to undertake a research project, which could include a clinical audit - research projects carried out on placement will normally require local ethical approval. You will be assessed on your research project and written portfolio, as well as practical and theoretical examinations, clinical practice assessments, laboratory reports and other written work, case study analyses and presentations. Both the practical skills you develop during your placement and written assignments you produce as part of it will be assessed. You will be taught through a combination of lectures, seminars, laboratory practical’s, demonstrations, or external visits. Lectures allow you to gain and develop knowledge in specific subjects. You can discuss and develop your understanding of topics covered in lectures and practicals in smaller seminar groups usually made up of 10-30 students. In addition, you can arrange one to one sessions with your personal tutor or module leader. You will also have access to and use resources to support your learning including; MyLearning, which is our virtual learning environment and on-line journals and books, throughout your course. Additionally, you will typically spend 37.5 hours per week on clinical placement for 10 weeks. There is formal ‘summative’ assessment as part of the module, usually towards the end of the module. Assessment methods could include written examinations, a range of coursework including essays, reports, portfolios, and your main final year project, or clinical examination. The grades from the summative assessments count towards your module mark. Assessments are reviewed annually and may be updated based on student feedback, to suit content or based on feedback from an external examiner. Access to HE: Access pass with 45 credits at Level 3 (45 merit or higher) in Applied Science or Science, Human or life sciences, Medical or paramedical science. We do not accept the Diploma in Health & Social Care. DBS (formerly CRB) and health clearances are also required, which must be achieved before the start of the placement. Students do not pay for the DBS and health checks. Students who do not get either a DBS or health clearance will be allowed to transfer to another degree, e.g. biomedical science. We require A level, or equivalent level qualification in depth and size, in a science subject. We do not normally consider Psychology or Physical Education to be a science based subject. A-levels must not include Psychology/Social Science, plus GCSE C English and Maths or IELTS 7.0 with 6.5 in written component. Please note: Entry must be at Year 1 Level for all applicants. There can be no direct entry into either Year 2 or Year 3. This is due to the placement element of this course. UK/EU students are eligible to apply for this course. International students are not eligible to apply. Entry onto this course requires an interview. Please apply via UCAS using this course’s UCAS code B702. 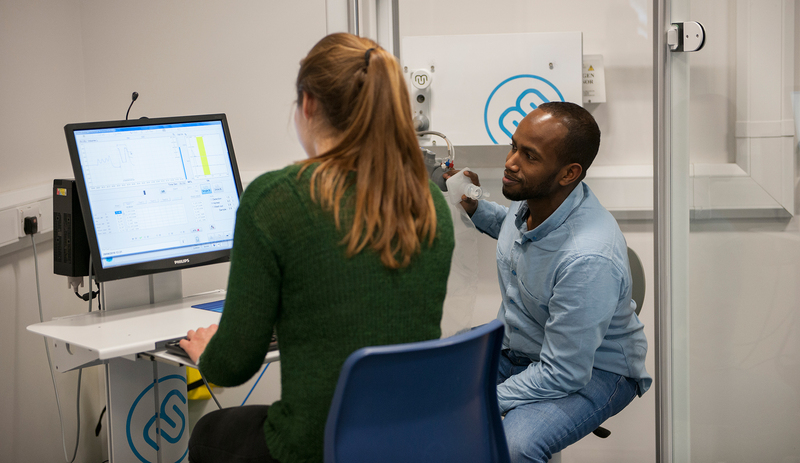 How can the BSc Healthcare Science (Cardiac Physiology) support your career? The NHS is one of the largest employers in the world and this degree provides you with the skills, knowledge and experience to work at the heart of the NHS as a healthcare scientist in cardiac physiology. The NHS has recognised a skills shortage in this area and our course is designed to meet the requirements of the sector. You can find more useful information about medical engineering careers on the NHS Careers website. Our healthcare sciences labs offer cardiac and neurophysiology students the best in medical monitoring equipment. Dr Hall’s research interests include Skeletal muscle fatigue, control of breathing during exercise and dietary behaviour and eating attitudes of the physically active. Dr Hall’s recent publications include ‘HALL NH (2002) Introduction to Nutrition and Metabolism’ and ‘British Journal of Nutrition (88): 582-583. When my dad had a heart problem, I saw how the doctors helped him. I became intrigued as to how the main organ of the body can be fixed. I wanted to know more about this, and also I wanted to feel that I could give back. The first time I came to Middlesex University for an open day it just immediately felt like home. The staff were so friendly and just made me feel comfortable. The university is really accommodating to students. I love that there are two different libraries. The campus has lots of halal food options on offer, which is great for me. I think that this reflects the fact that MDX really respects diversity. The lecturers are always happy to offer 1:1 help. They focus on you as individuals and they want you to become the best health practitioner possible. I feel that I can ask any questions in class, which is a big deal for me as I’m usually quite shy. Hands on learning is a huge aspect of the course and we have access to some amazing facilities, from EEG machines to exercise testing machines. Before going on placement, we could practice and get a feel of how everything works. They don’t send us off on our placements without feeling like we understand it all properly. I am currently on my placement, five days a week at North Middlesex Hospital. I get to be involved in and experience many different things and the experience helps to open doors when you’re looking for jobs. There is a lot of patient contact and we are given mentors who support us throughout. After I have finished this course, I would like to pursue a master’s in paediatric cardiac physiology. This is my way of giving back but also simultaneously doing something I enjoy.